Join the Fun - It's Free! Forgot your password? Have it sent to your email address. Version 2 is the new and improved White Oak Stables that is currently in development. Version 2 combines English, Racing and Western competition into a single game so you no longer have to login to different registers and use multiple accounts. Version 2, or V2, will be replacing the current version, or V1, of White Oak Stables when it's done. It will have new features, new graphics and new gameplay. V2 is scheduled to open by January 2015. Currently the plan is to open it first in a Beta testing state. During this time anyone will be able to join and play Version 2 in it's testing stage. When testing is completed Version 2 will replace the existing version of White Oak Stables. You may only have one account on Version 2. All of your accounts on V1 will be combined into a single account on V2. Will I Loose My Account Data? You may choose to import your old account data into your new V2 account. Any data that can be supported will be moved into V2. Will I Loose My Upgrades? V2 uses a new upgrade system meaning that V1 upgrades will no longer be supported in the same way as they were before. For each account with an upgrade that you import into your new V2 account you will recieve the comparable V2 upgrade for that upgrade. V2 upgrades are available by yearly subscription or one time payments for specific features or credits. Will I Get A New Account Number? Yes. Account numbers will be first come first serve when V2 officially opens. Account numbers will reset and start at #2. Send in pictures of you or your horse and we'll post it here and give you 5 game credits. 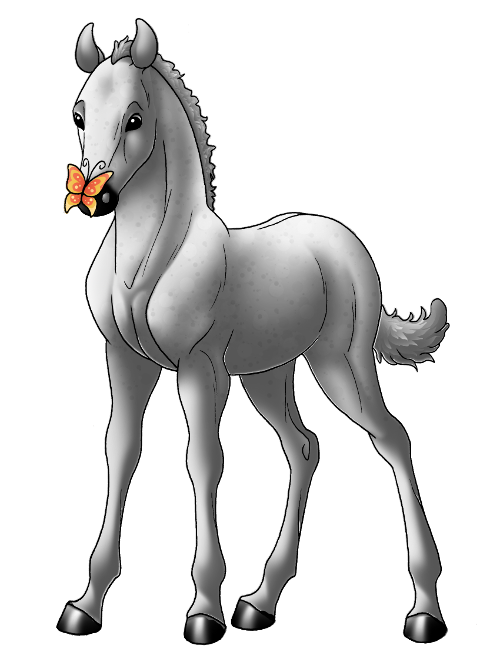 White Oak Stables is a free online horse game where people of all ages can learn the responsibility that comes along with taking care of horses, and have fun at the same time. Choose either english or racing competition. Members breed, show, race, train, and care for their own horses. We have games, parties, contests, chat rooms, message boards, story archives, give out lots of free prizes every month, and more. We've been kid tested and parent approved. See what our members have to say about us! White Oak Stables strives to give people of all ages a place to relax and share their mutual love of horses. Our focus is to educate as well as stress realistic equine care and management in hopes of stopping the abuse and slaughter of 40,000 to 80,000 equines a year. Our game is designed to emphasize realistic time, skill and money management needed to run a successful horse stable. Members must feed, care for, and breed their own horses responsibly otherwise the animals die as they would in real life. Members learn there are consequences for all of their actions. 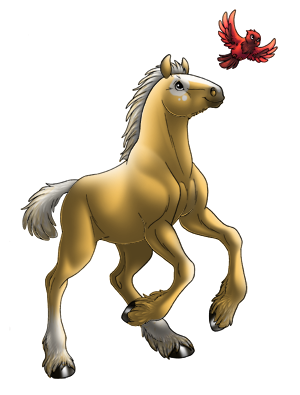 In this way our game encourages horse rescue and rehabilitation of unwanted, neglected and abandoned horses. It is our hope these values will be instilled in future generations. See some of the cool events we host every year. White Oak Stables features horses and horse rescue organizations from around the globe, simply click on the Rescue tab. If you would like a horse from your organization featured please contact us. 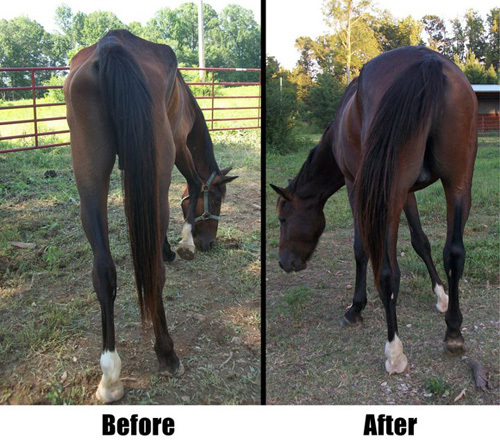 We're always happy to help a rescued horse find a home. Additionally, White Oak Stables donates yearly to the Equine Rescue League, a local horse rescue. 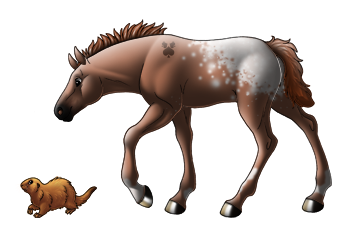 Most of the members of White Oak Stables are children and teenagers, however as our website popularity grows so do the age ranges on the game. We encourage parents to go over basic internet safety with their children and explain the dangers of giving out personal information to strangers over the internet. For more internet safety guidelines and how to talk to your children please visit A Parent's Guide to Internet Safety published by the FBI. If for any reason you would like your child removed from our website or denied access to our chat rooms, message boards, horse writers, and/or game messages please notify jade@whiteoakstables.net. 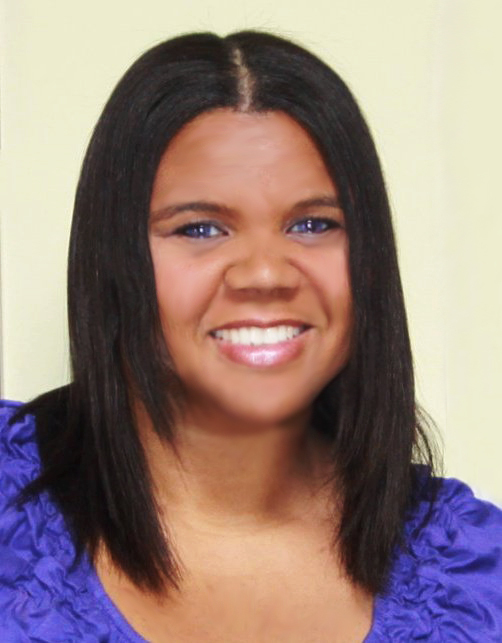 My name is Greta "Jade" Krafsig and I'm the owner of Design1Online, LLC a small game developement company specializing in games for women and girls. Like most girls I grew up completely horse crazy and still am to this day. 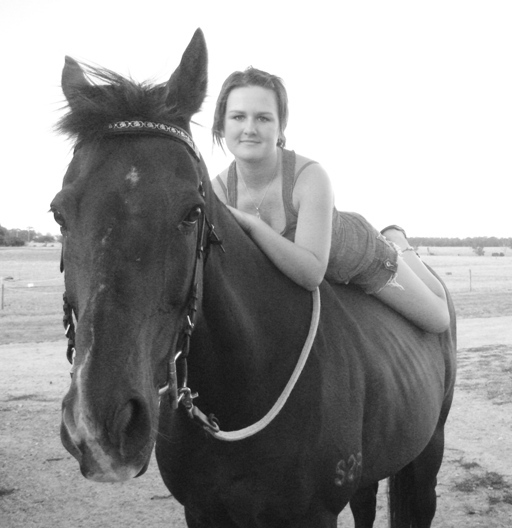 I bought my first horse Erin on July 30th, 2007. 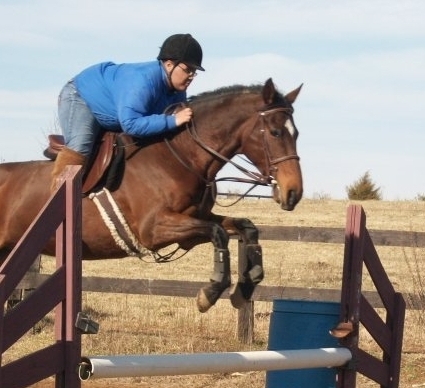 She's a 1999 bay Thoroughbred mare out of a fairly well known VA steeplechasing stallion, Aaron's Gold. My second horse, Abbott, arrived on April 10th, 2010. He's a cute chestnut Quarter Horse gelding I was originally planning to train and sell...until I realized what a fabulous horse he is. I got my third horse, Emma, on June 10, 2015. She's a chestnut Irish Sport Horse and a super talented jumper. I have a B.S. in computer science with a focus on computer games and graphics and I teach horseback riding lessons at a local barn on the weekends. I love programming almost as much as I love animals and working with kids. I also have two dogs. Dexter is a pomeranian/dauschund mix and Stevie is a purebred Yorkie. I rescued Dexter when he was only a three weeks old. He was so small he fit in the palm of my hand. He enjoys chasing his tail and barking at anything that moves. I got Stevie from a local breeder and friend. I'm planning to get him certified as a therapy dog and take him to local hospitals once or twice a month. My hobbies include reading, writing, drawing, horses (no brainer here), playing violin, swimming, and programming. I love making online games and I'm happy you've decided to come play one of mine. White Oak Stables donates every year to a local horse rescue. We believe every animal deserves to have adequate food, shelter, regular farrier visits, medical attention and a loving home. Show your support and make a difference by adopting a horse, volunteering, or donating to a horse rescue in your area. Here's a list of horse rescues you may be interested in. If you have or run a horse rescue and you would like to be added to this list please contact us. Not a member yet? Sign up, it's free to play. DO NOT GIVE OUT YOUR GAME LOGIN INFORMATION. The security of your account is your responsibility. LOSS OF DATA: whiteoakstables.net is not responsible for any loss of game data, account data or information uploaded and/or posted on an account as a result of game errors, malfunctions, programming errors, or server problems or as a result of the disclosure of your account and or login information. CONDUCT: You agree that you will not discriminate against any other person or be unkind, use foul language, harass, or threaten someone else, cheat or otherwise behave in an manner that is offensive to others. You further agree to comply with the Rules and Terms and Condition set forth below. VIOLATION OF RULES: whiteoakstables.net may determine in its sole discretion whether your conduct is in violation of the Rules of this Website. 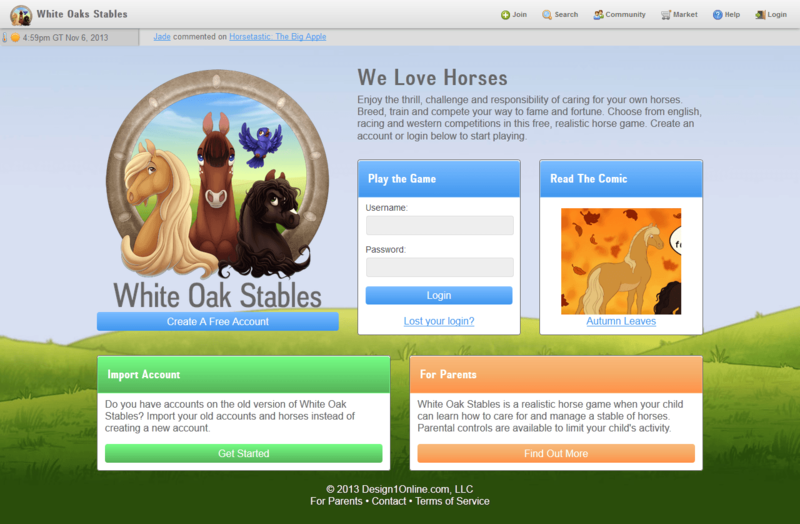 whiteoakstables.net reserves the right to take what ever action it deems appropriate with respect to conduct it deems is in violation of these Rules, including but not limited to cancelling your account(s), denying you access to your account(s) for a period of time, or denying you access to a particular part of the game. If your account(s) is (are) cancelled as result of your violating these Rules, whiteoakstables.net shall not be obligated to refund any amounts or pre-paid amounts remaining in your account or accounts. KICKED ACCOUNTS: To discourage shared accounts whiteoakstables.net will deny you access to your account(s) for a number of days if you've recently logged into an account that's been found in violation with these Rules or Terms of service. To prevent this from happening you should not share accounts, give out your account login information, or login to an account that does not belong to you. Linking, posting or uploading copyrighted material to the whiteoakstables.net Website without permission from the copyright holder may be illegal and is forbidden. Please ask permission from the copyright owner before posting or uploading any copyrighted material on whiteoakstables.net. If you would like to report a copyright violation please notify jade@whiteoakstables.net and it will be removed. whiteoakstables.net may in sole discretion cooperate with law enforcement and legal entities in disclosing account information for persons who have or are accused of violating copyright laws. You agree not to upload pictures, graphics or images, music, or text that are obscene, vulgar, sexual, that contain inappropriate language, or that reference or depict drugs, violence, smoking or alcohol. Excessive posting (more than 3 times) of the same material is not allowed. This is considered flooding and is annoying so please be respectful of other persons. Chat boxes, shout boxes, and any other form of instant messaging or posting widgets are not allowed. 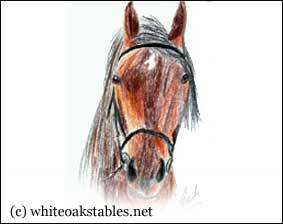 Advertising of any kind without written permission from whiteoakstables.net is forbidden. You agree not to use automated scripts, excessively refresh the page, or consume server resources with or without malicious intent. Logging into an account that doesn't belong to you, even with the permission of the account owner, may be considered hacking or unauthorized access. 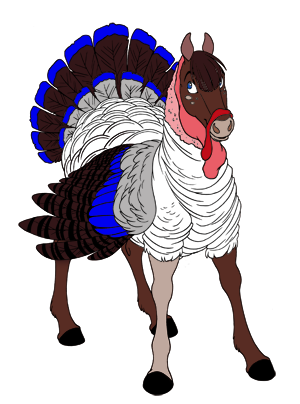 You may not login to admin areas, including but not limited to the chat room and game admin panel, without written authorization from whiteoakstables.net. You may not login to the newspaper management system without authorization from whiteoakstables.net or the authorized game newspaper manager. Shared accounts are strongly discouraged however they are allowed. If ownership disputes are made over an account whiteoakstables.net has final say on whom will be awarded ownership of the account. You may not make a show, race or any other contest or competition and exclude certain members from entering. The only exception to this is sanctioned clubs on WOS where only members of that WOS club may enter. You may not ask another member to scratch a horse from a show, race or competition. You may not name your show, race or competition in a way that would discourage other members from entering. You may not ask another member to enter horses out of event. All shows must be open to all members who have a horse in that particular grade and event. Example show names that you may not use include, but are not limited to, Private Show, My Show Only or DO NOT ENTER. You may not name your show, race or competition in a way that would discourage other members from entering a horse in their best event/distance or abilities. Hacking member accounts, game databases, servers, or other game software and hardware is illegal and forbidden. Trying to bypass game security or intended functionality is considered cheating and is not allowed. Cheating or hacking may result in your account be kicked or banned from the game even if you've paid to use the website. HTML or text must be appropriate for people of all ages, may not contain harmful devices, redirects, or viruses that may affect the operation of or damage whiteoakstables.net servers, software and applications. Blacklisting - speaking negatively about other member's pets, items, pictures or services - is forbidden. Fighting, bullying, threats, condoning violence, drugs or alcohol, dating, and cybering are not allowed. Asking other members for personal information is not allowed. This includes address, phone number, full name, school, email, local landmarks, or photos. Adult conversations, mild cussing and sensitive topics are only permitted in the adult/mature forum to which access is restricted by way of payment authorization. YOUR USE OF THIS WEBSITE CONSTITUTES YOUR AGREEMENT TO BE LEGALLY BOUND TO THESE TERMS AND CONDITIONS. IF YOU DO NOT AGREE TO THESE TERMS AND CONDITIONS AND THE RULES, DO NOT USE THIS WEBSITE. IF THIS ACCOUNT IS FOR A MINOR, THEN "YOU" INCLUDES THE LEGAL GUARDIAN OF THE MINOR ACCOUNT HOLDER. whiteoakstables.net may change these Terms and Condition at time. Any changes are effective immediately. Using the site after any such amendment signifies your acceptance and agreement to any or all modifications to these terms and the Rules above. You agree to defend, indemnify and hold harmless whiteoakstables.net, its affiliates, directors, officers, agents, lawyers, and employees (collectively "Indemnified Parties") from and against any and all demands, obligations, judgements, suits, losses, damages, liabilities, claims, fees, costs and expenses of any kind (collectively "Losses") (including reasonable attorneys' fees whether or not a formal proceeding is filed) suffered or incurred by or threatened or alleged against any of the Indemnified Parties directly or indirectly relating to, in connection with, arising out of or resulting from your use of the service or your failure to comply with the Rules and Terms and Conditions established herein. The indemnity in this Section shall survive any expiration or termination of this Agreement. These Terms and Conditions contain the contract between you and whiteoakstables.net, a game by design1online.com, LLC, and supersede any previous agreements or discussions whether written or oral with the parties related to the subject matter shown here. Modifications to this contract can only be made with written consent from whiteoakstables.net. If any portion of this Agreement is held invalid or inoperative, then so far as is reasonable and possible, consistent with the intent of this Agreement, the remainder of such provision and this Agreement shall be deemed valid and operative, and effect shall be given to the intent manifested by the portion held invalid or inoperative. These Terms and Conditions and the Rules are effective until terminated by either party. You may terminate this agreement by destroying all materials, downloads, programs, text, photos or documents acquired from this Website. The rights given to you under these terms and conditions will end immediately without prior notice from whiteoakstables.net if you fail to comply with any part of the terms or break the Rules. Following such termination you must destroy all materials, downloads, programs, text, photos or documents obtained on or through whiteoakstables.net. All goods and services offered by whiteoakstables.net are provided AS-IS without warranty of any kind and any payments received for goods and services are non-refundable. Damaged or broken goods may be replaced in the sole discretion of whiteoakstables.net. whiteoakstables.net is not responsible for any products, materials, or services obtained by You from others through links to sites posted on this Website or for any errors, information, opinions, views, products, text, or materials found on such sites, or for any viruses, malware, or spyware that may be acquired from such sites. Any information, including credit card information, personal identifying information or contact information, You provide to other Websites that may accessed via links on this Website is provided at your sole risk. whiteoakstables.net is not responsible for any inappropriate or offensive materials found through third party sites (whether sanctioned, advertised or promoted on whiteoakstables.net) so You hereby irrevocably relinquish all claims in relation to these sites. whiteoakstables.net cannot be liable for any interactions, viruses, opinions, services, or materials found on third party sites. You acknowledge that whiteoakstables.net is the copyright holder of all site materials. You may not copy, reproduce, modify, create derived materials, print, transmit, sell, generate, assemble, or claim works as your own.You are granted a limited license to use information on this Website solely for personal and non-commercial uses. You agree that you will not use site materials for any other purpose without the express written consent of whiteoakstables.net. Site materials may not be uploaded to, displayed on, or linked on third party sites without written permission of whiteoakstables.net. Misuse and/or unauthorized use of any or all site material can lead to prosecution under applicable state and federal laws. By mailing, faxing, emailing, uploading, or in any other way transmitting original works to whiteoakstables.net, You grant whiteoakstables.net an unlimited royalty-free world-wide licensee to use, print, adapt, modify, create derived materials from, and distribute the original and derivative works. By submitting materials you acknowledge moral-rights and all other recognized rights worldwide. whiteoakstables.net is not liable for any posts, pictures (and links to pictures), html code, applets, widgets, or any other materials upload to this Website by others. You remain solely responsible for any content you may post, upload, or display. whiteoakstables.net in its sole discretion may modify or delete any content posted by You or others that whiteoakstables.net determines violates these Terms and Conditions, or the Rules, at any time and to disclose account information to legal entities and law authorities if requested in relation to copyright, trademark or legal infringements. This site is run and owned by design1online.com, LLC. 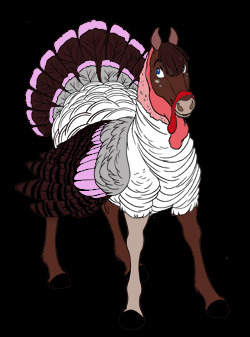 This site and all materials are provide "AS IS" and "AS AVAILABLE," meaning whiteoakstables.net cannot guarantee that Your use of this Website will be uninterrupted or error free due to server or programming complications, that errors will be corrected, or that the server is free of virus or other harmful devices. whiteoakstables.net does not warrant the use of materials or anything resulting from the use of materials in relation to their function, precision, accuracy, value, or validity on this site. You assume all risk arising from Your use of such materials in respect to their functions, precision, accuracy, value, or validity. 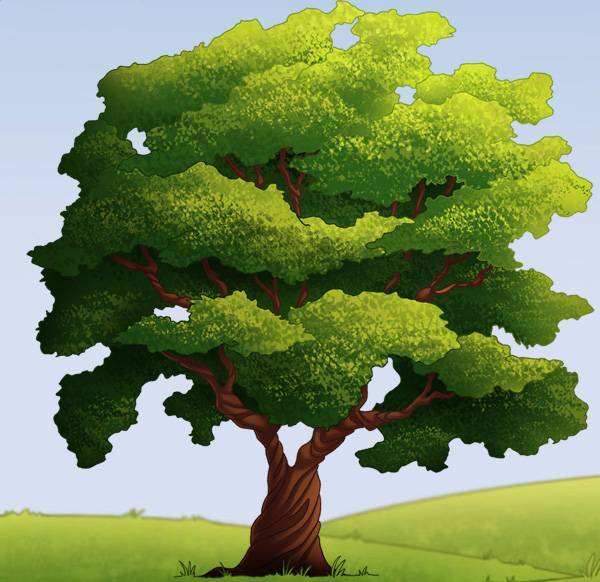 You are further responsible for all costs that may arise from the use of this Website, including and not limited to repairs, corrections, and modifications that may occur to your software, hardware or data as a result of using whiteoakstables.net. whiteoakstables.net and all associated (including third parties) will not be liable for damages, costs, or expenses of any kind that are a result of the use of the whiteoakstables.net or any materials found on this site. In no occasion will whiteoakstables.net have any liability to you in any claims, damages, expenses, losses, or legal actions greater then the amount paid by you for accessing this site within the year the claim is brought forth. whiteoakstables.net is not responsible for any person that voluntarily discloses his or her name, email address, or other personal information on message boards, game messages, chat rooms, account pages, or any other part of the site. whiteoakstables.net is not responsible for any kind of interaction between persons on the game that could potentially or does lead to unlawful or inappropriate activities. All persons are advised to post, interact, give out personal information and play this game at their own risk. Parents and/or guardians of minors are encouraged to talk with younger persons about the dangers of giving out personal information. None of the information collected actively from whiteoakstables.net (name, email, age, country, ip address) will be disclosed to third parties and remains with the company through sale or merger, with exceptions as the law and these Terms and Conditions pertain, without a member's consent or parent/guardian's consent if the person is 13 years of age or under in compliance with the COPPA Act. Personal information collected on whiteoakstables.net is used for re-sending account password information and to uniquely identify persons who visit this site. whiteoakstables.net uses third party advertisements. In order to better display advertisements that may be of interest to you the third party collects information passively each time you visit this Website and other sites (not including your name, address, email address, or telephone number). To find out more please feel free to read this FAQ or opt out and this information will not be collected by this third party. Parents for more information on how to talk to your children about internet safety please visit this website published by the FBI. If at any time you would like to review the personal information collected about your child, have this information removed, or stop further collection of information please contact us. Do you have any experience writing for a newspaper? What would you do differently then the older newspaper managers? How often will you post new articles? What contests and events do you have planned during your term? Remember to check your spelling, punctuation and grammar before sending this in. Job Description: Responsible game moderation, creates special shows and races, helps generate contests, games, and other member interest features or functionality. Encourages and helps new members learn how to play. May be tasked with creating simple game modifications (programmatic and design), help documents, rules or game content. Requirements: Must be 16 or older. Basic HTML knowledge is a plus. Must be familiar will all game rules and have had an upgraded account at some point in time. MySQL - querying, inserting, updating and deleting data. Hey guys, man it's been forever since I've posted anything and for that I really do appologize. I have had a crazy time with work and with my personal life but I wanted you all to know that I haven't totally disappeared I am just working on trying to get things back to a place where I can dedicate time to WOS and it's development again. I have become a foster mom so having little ones in the house has really thrown a wrench into my spare time and I've had a few job changes and promotions which means work is also really eating up my free time. I want to thank you for all your continued support and know that WOS is not going anywhere now or in the future. Today I flipped the play page as the front page of the site since I've been really lax on news updates this year. Work has not been the greatest and the farm has taken up a lot more of my spare time. I've also been busy with a side project that ties into some of the Version 2 work which I haven't really talked to you guys about. I'm hoping things will return more to normal next year once this side project is done and integrated into Version 2. Hey guys, I have been working on getting automatic upgrades back up and running again. My main server has been having a lot of availbility issues while I was testing out a new server setup when we were having server issues. Long story short, that server has been reverted to what we were using before and seems to be more stable now. This means you should be able to automatically purchase and get your upgrades again. I have a few emails from people having trouble with racetracks still that I'm looking into and hope to have fixed by the end of the week. If you have any trouble with your upgrade please email me so I can get it sorted out. If you put in a dispute in PayPal I can't fix the upgrade right away, I have to wait for the dispute to end (ie give you a refund) before you can get your money back and try to upgrade again. Hey guys, I spent the morning trying to figure out why we've been having so many issues with shows and races not running. It looks like there were a few things going wrong that I've made changes to in an effort to fix the problem. I also restarted the server to make sure that wasn't causing the problems either. I'm sorry for the lack of updates, my work has been super crazy and we have a major deadline in 3 weeks that if we don't meet it could mean loosing my job, ugh! I'm hoping things will finally settle down after that. New server seems to be working much better. I added RAM and CPU and I haven't seen any issues with shows running since. We have be having an issue with upgrades going through because the server we use for payments has been going down a lot. I'm testing new server software on it and it's been pretty unstable. If you want to upgrade and it doesn't go through or you get an error message please email me at jadendreamer13@gmail.com and I can send you a PayPal invoice. Hey guys, I wanted to let you know that the server has been successfully upgraded to a bigger and faster server with more CPU, RAM and disk space. Hopefully this will fix a lot of the issues we have been having with the CRON not running at night and the new shows not being created like they are supposed to. If you notice any big issues (horse photos are still missing right now) please email me and let me know. I took a backup before I upgraded us so I can restore it if anything is missing. Thanks!! Hey guys, we've been having issues with the server lately because we're running out of disk space on the server we are currently using. That's one of the reasons that shows haven't been running consistently or have been hanging up at night. So, I'm going to upgrade us to a larger server on Wednesday 22nd. That will mean the game will be down for some or all of the day during the server change. You wll also notice that your pictures on your horses may be missing - this is because I've removed them for now to make sure the server has enough space to keep running until wednesday. I will have the game re-generate them after we move to the bigger server. Thanks for your patience and understanding! Hey guys, my email has not been working again so I'm going to give out my personal email until it does. If you need to contact me you can use jadendreamer13@gmail.com. I'm sorry I haven't posted in a while I've been really busy at work and trying to find a new job again. I'm hoping things will settle down soon. In the meantime, I've fixed some shows and races that were stuck on December 31st and I have a new feature coming for the racing register that will allow you to reset your brand. I should have that up sometime today. Wow, I can't believe it's been 3 months since I last wrote a newspaper post! So I wanted to fill you all in on my brief haitus. At the end of June I found out that my company was closing down our building and asking us to move to a new state. Which of course meant that I had to find a new job ASAP because I had no intentions of selling the new farm I bought recently. At the same time I got an assignment at work that was 10 weeks of working with another company which meant I was away more and had longer days than normal (I'm talking some days with a 5 hour commute!!!!). On top of that and looking for a new job my computer is broken (mousepad is stuck in right click mode), one of our servers is being email bombed and I had to shut down the email service completely, and I haven't been able to use anything other than my phone which is horrible for trying to update this newspaper on our servers. Long story short, I've found a new job and things are starting to settle down in my crazy schedule and I'll have enough money for a new laptop soon. That being said, I'm sorry for the delay in email responses and I'm working my way through them over the next few days. We had a few weeks where PayPal was not creating upgrades properly so if you paid for an upgrade and it has not appeared on your account please let me know so I can get that corrected or refund your money if you'd like a refund instead. "I have been really committed to White Oak Stables and like it so much because of the fact that it allows me to feel a sense of owning a real horse. I don't own my own horse, so it's been really hard dealing with that. However, on White Oak Stables, I can have as many horses as I wish, and they can be the best. There are no limits on money; I can always earn more. My horses on White Oak Stables are excellent and they are very real to me- the closest that I have." "Because I work, live, train, and show at a stable, as well as owning and training many horses, I have fun going on WOS to show and train my horses just like I do every day, except it's much easier on line!" "It is very realistic which is great as that's the whole point of the game. The treats, tack and riding settings are great as people have to work things out and work hard to try and find events and the settings of how to ride then they have to get the best take and treats so the horse does well." "it is a very well organized and challenging game yet enjoyable at the same time. There is a variety of breeds and options for your stable such as breeding, racing and rescue stables. This was the feature that originally attracted me to the game, besides my love of horses." "On White Oak Stables, you can't just leave for a month and expect to have all your horses waiting there for you. In real life, just as it is in the game, the horses are rescued if you do not feed them or otherwise care for them. Also, if you don't train them, they can never become better." "It's incredibly realistic. It doesn't allow the strange crossbreeds most sites seem to flourish with. True horse colors and markings are shown, unlike certain sites where there's are custom colors or people get to simply put in the color of the horse. Its a quality safe site that you can learn about horses on." "I have learned a lot about breeding and bloodlines here, especially! It's also a good way to teach responsibility, and prepare for owning a real horse someday." 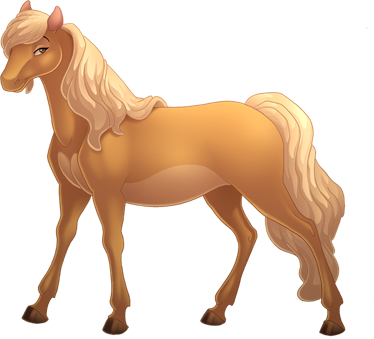 "I like how WOS is mostly accurate with breeds, colors, etc. Shows and contests are fun to enter and I look for something new to do every day, and I always find something! I name all my horses after my own and I train them in similar fields." "White Oak Stables helps me a lot because I know that I can come home and log on to talk to all of my friends here, who I can be myself with and no one cares what I look like. I have made so many friends in the over a year that I've been playing on WOS, and I continue to make them all the time." "People help you when you don't know or understand something and they also make shows for you or give you Christmas and birthday presents which make you feel special." "I found the other players very helpful and kind and I picked up game concepts quickly, which isn't always the case with more complicated games. I immediately enjoyed the atmosphere of the game and was instantly addicted. Even though it takes a lot of hard work and undying dedication, you don't have to spend countless hours online everyday, so White Oak Stables is great for those of us with very busy lifestyles too." "Another thing that I love about this game is that you must work with other players to get to the top. 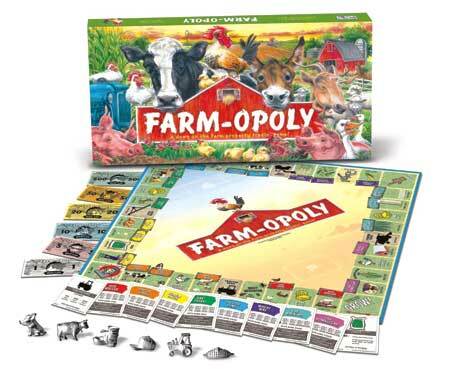 For example, you must buy quality stock, breed with other lines, and use peoples race tracks to create an successful stable. As well as this, the unpleasant players in the game are quickly weeded out of the game because they lack the responsibility of taking care of their horses. I also love the fact that there is a newspaper with a comments section so the users of WOS can learn more about other stables horses and make friends with other players." "Its member friendly, people are willing to help one another make choices and help out. Unlike other sim sites I've been on, people are respectable towards others they don't agree with." world. The first time I went into the chat and was desperate for help because another member had steered me in the total wrong direction, there were many there who jumped right in to help me. They walked me through the process of getting my main horse trained so I could get myself back on my feet. It is these members who have made White Oak Stable what it is for me today. I like it that I have made many friends of all different ages. From ten years my junior to ten plus years my senior, White Oak Stable is an excellent place for people from all walks of life to gather and discuss our common ground, a love of all horses." "The best thing I think about WOS is the newspaper. It keeps players up to date right off to what's happening, and we can actually see other peoples opinions. Its a complex, and yet easy site for novice and top players to enjoy. I love the work that's been done on the site. Thank you for just the opportunity to be involved in the game!" Once or twice a year we give out a big prize! This is a contest you don't want to miss so make sure you keep your eyes open and enter when you can. Some of our prizes include $200 Dover gift cards, saddles, bridles, personalized items and more. Big prize contest dates vary. Spread the love and keep your friends guessing as they try to figure out who you are! Send them clues about who you are and then a special present on Valentines day. Secret Admirer is available on February 1st - 14th. The Easter Egg Hunt runs on April 21st. Join us in the chat room several times a year for our chat parties! At chat parties we play games, answer trivia, tell stories, and have a blast winning prizes like game money, game credits, halters, t-shirts, journals, video games, jewelery and more! Chat party dates and times vary but we typically have them four times a year. Since 2010 Riders4Helmets has started a campaign to get more heads protected world wide. Most deaths and severe injuries are due to tramautic brain injuries from riders without a helmet on. Join us as we fight to protect ever noggin and brain out there. Helmets have a five year shelf life so enjoy this day when most tack stores nationwide sell helmets at a discounted price. Login to your account on August 1st and you'll automatically be entered into a drawing for a FREE helmet! 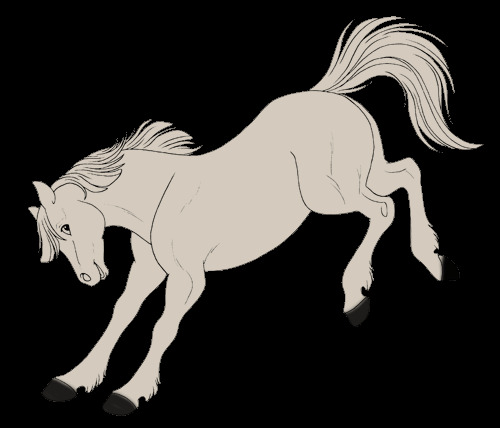 See what your horses would look like if they were flat drawings instead of shaded drawings. You can turn sketch mode on or off for specific horses, the choice is yours. Sketch Mode is available from August 24th - August 31st! At White Oak Stables there's always something to do! Each year is packed with fun filled events for you to test your skills in horsemanship and have fun at the same time. One of our largest events is a site wide scavenger hunt! You'll be asked to answer questions and find things around the website in exchange for free game money and neat other prizes. The scavenger hunt runs annually on September 25th, the birthday of White Oak Stables! We honor the superstition behind this special day by giving all members 3 game credits. How many turkey's can you find? Sure, Stooge in a turkey suit is unconventional but he brings lots of fun with him! Any time you see a turkey remember what color it's feathers were and where you saw it. Then click on it to answer a question and claim your prize. The turkey hunt runs from November 20th - 25th. December is the season of giving back to friends, family, loved ones and those in need. Join White Oak Stables as we give back to YOU and one lucky local horse rescue group. Every day that you login you'll be entered for a chance to win a FREE prize from game money, game credits, halters, horse blankets, helmets, riding gloves, jewelery, t-shirts, journals, mouse pads and more! At White Oak Stables we plan to finish out the year with a bang. 30 Days of Giving runs from December 1st - 30th. Did you find a turkey? Go collect your prize! Jane Savoie is a member of the U.S. Equestrian Team, having represented the USA internationally in Canada, Holland, Belgium, France and Germany. She's won United States Dressage Federation Bronze, Silver and Gold medals. In addition she was the reserve rider for the Bronze medal winning Olympic Dressage Team in Barcelona and long listed by the United States Equestrian Team with Genaldon, Jolicoeur and Zapatero. Winner of nine Horse of the Year awards. Winner of three National Freestyle Championships. Jane has coached at three Olympic Games. In 1996, Jane coached the Canadian 3-Day Event Team at the Olympics in Atlanta. Jane coached several Three Day Event Riders from the United States, Canada and Belgium in preparation for the 2000 Olympics in Sydney, Australia. 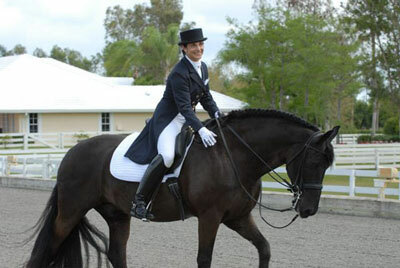 While in Sydney, she also coached United States Dressage Team member, Susan Blinks. With Jane's guidance, Sue and her horse, Flim Flam, were able to help secure the team Bronze medal. This victory was particularly meaningful because Jane has helped Sue with Flim since he was three years old. In 2004, Jane once again accompanied the Canadian Three Day Event team to the Olympics. This time the competition was in Athens, Greece. Under her watchful eye, several of the riders achieved their personal best for their dressage scores and finished tenth as a team. 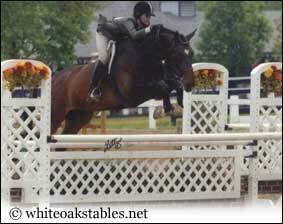 Articles and images posted on White Oak Stables are used with permission of Jane Savoie. Thank her for kindly sharing them with us by visiting her websites above to learn more. Give it a second to load. Right click to zoom in and out.